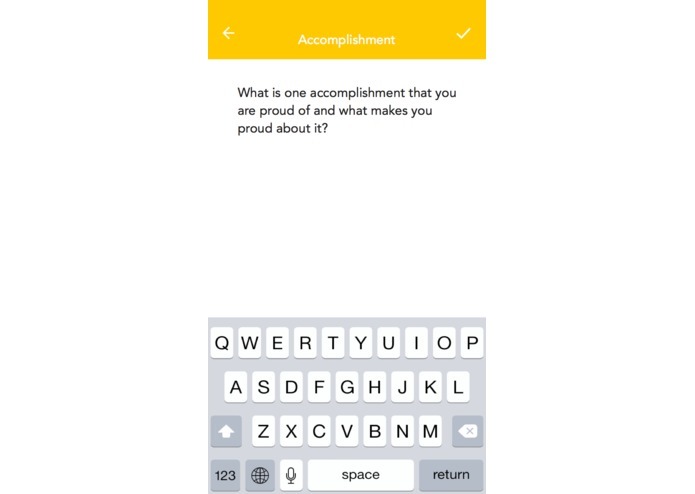 Uplifter is in beta, and the Happiness App Challenge is the first time that Uplifter is being released to a group outside of friends and family. What if you could start each day with a good mood and optimistic outlook? You’d spread that happiness to others, you’d make positive impressions, you’d more easily conquer the day’s problems, and gain inner peace and empowerment! Once you make the change within, you can become a positive force for change. I’d come up with the idea for Uplifter during a time when I wasn’t happy with my life. Why was I unhappy? I had a great job, wonderful family, friends, and dog. I was reading psychology articles and self-improvement articles all the time. And I realized that I wasn’t practicing what I‘d learned about being happy – I was reading that I should be grateful instead of FEELING grateful. And since I was so busy, the day was over long before I could fit it in. So I wanted to make it possible for me to practice everyday. I wanted to make it EASY as possible for busy people like me and my friends. So I created a solution that will help you see the positive EVERYDAY by building a habit in order to see long-term changes. You can set aside a time to practice with daily notifications. And to engage people we can’t afford to have boredom set in. So, we have 9 research proven exercises to make you happier. We choose 3 randomly a day to prevent ‘fatigue’ from setting in and ensure that your brain enjoys variety. We’ll continually be adding new questions to ensure that your mind is always being stimulated. We have quotes that will inspire you to get lifted. 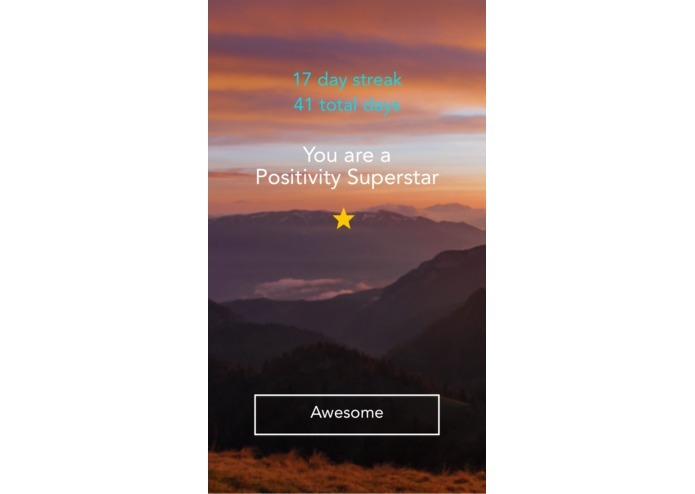 You can log your mood, and see how often you are feeling positive, neutral, or negative – and get motivated to increase your score. You can look back at your previous entries to savour great moments that you’d recorded. You can be proud of all the positive experiences you’ve had over time and read this whenever you need a boost. 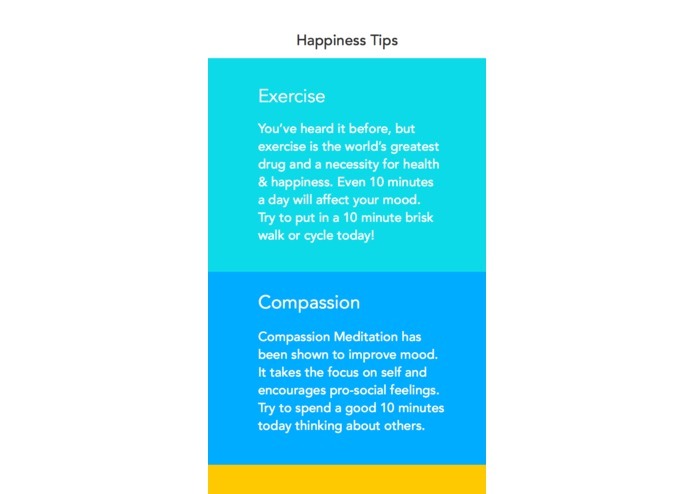 Finally, we've included happiness tips that are in bite-sized chunks so you can easily incorporate it into your day. 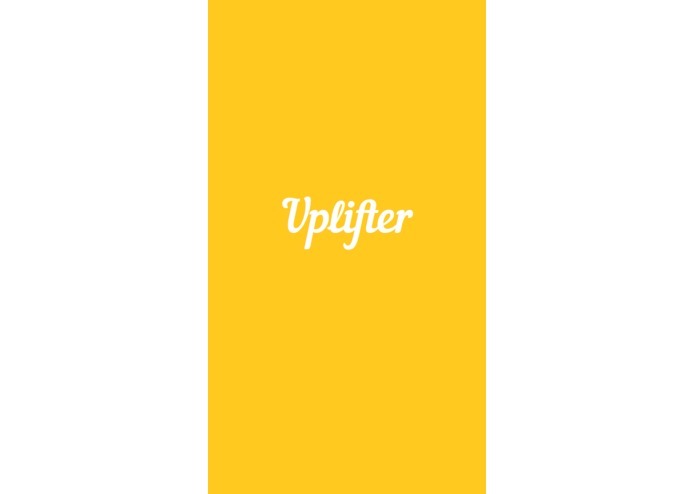 Uplifter is specially designed to get you in touch with your positive emotions and positive thoughts, leading to a happier, more optimistic you.